McDonald and Woodward Publishing Company, 9780939923946, 196pp. Mr. Lincoln's Chair provides an interesting and engaging look at the Shakers, one of the most complex but largely ignored religious groups and one of the most unusual and successful Utopian communities in American history. 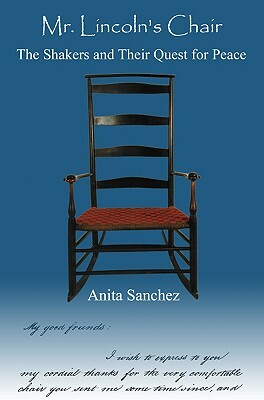 The book tells the story of the Shakers from their tumultuous beginnings in the eighteenth century to the present day. It provides a broad overview of Shaker history, culture, religion, life, and work, and presents the Shakers against the backdrop of the Civil War, contrasting their peaceful and productive lives with the carnage of America's bloodiest battles. The book details the Shakers' struggle to obtain legal conscientious objector status, a quest that led them all the way to the White House and an audience with President Abraham Lincoln.